Forever 19 is a loving tribute to a wonderful person that was taken away so suddenly. Why was this an important book for you to write? It was very important for me to write this book so the world could see what a wonderful person my daughter was. And even after all the years since her death it helped me find closure. It also was he final legacy. I really enjoyed how passionate this book was. Being her mother you probably knew her best, but did you have to do any research, discuss with family members and friends, to make sure you got the full picture before writing? I mainly wanted to write about my daughter from my own perspective but I did talk with friends of hers whom I was able to contact after all these years and of course her siblings who suffered her loss along with me. When writing this book, I felt you described Cheryl Jean as she truly was. What were some things you felt you had to get right to tell her story properly? It was very important to me and the rest of the family not to put Cheryl on a pedestal but to show her as a real human both good and bad (well not really bad but very human). While reading this book I kept asking myself, ‘how would I deal with such a loss?’ Do you have any advice for someone that has just lost someone? It is difficult to give advice to anyone who has lost a loved one, especially a child. Every circumstance is different and every one mourns differently. The best I can say is pray for guidance, maybe get therapy if that might help but most of all just get up every morning and put one foot in front of the other and face the day. They say “Time heals all wounds” and in a sense it is true. The pain never really goes away but it does subside. Just like a serious physical injury there is usually a scar left as a reminder. I often ask myself, “Would Cheryl be proud of me and how I have survived?” When the answer is, ” I think so” then I am encouraged to get on with my life. Have you ever lost a loved one? Perhaps a child? How did you handle the pain? Did you feel empty, want to give up on life? 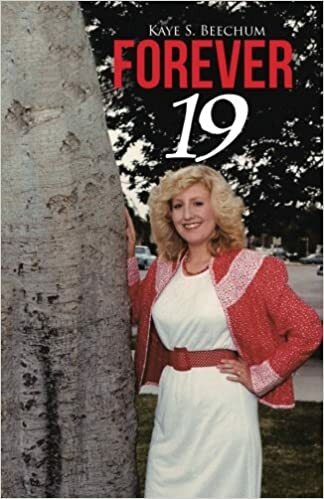 This book tells how one mother dealt with the pain and loss of a beautiful nineteen-year-old daughter who died as the result of a tragic accident. Love and faith helped the family cope with the emptiness and sadness. 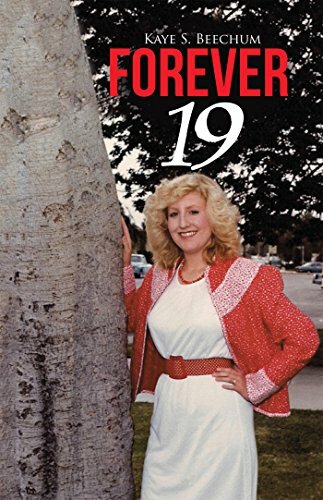 Forever 19 by Kaye S. Beechum is a mother’s and family’s way of coping with the untimely death of their beloved Cheryl Jean. Cheryl was only nineteen when a car accident occurred out of nowhere while she was running errands on her lunch break. In 1984 things like cell phones and the internet were not around so communication was a lot harder. Kaye had to try and contact family in a pre-tech world to let them know Cheryl was hurt. The memories of the week Cheryl was in the hospital are described as a fog with people coming and going. The book details memories that the family holds onto. From her love of cats and hiking to her ambitions in acting and passion for helping others. How do you deal with the death of your child, or sister? For everyone that answer is different. There is no right or wrong way to go through this difficult time in life. There is no time line on grieving either. Cheryl died back in August of 1984. Her family waited over thirty years to put together this tribute. Her memory lived on over the years through the telling of stories, teaching the younger members about her spirit, and even setting a place for heart family dinners on the holidays. She was never forgotten or pushed to the back of their minds. Reading this book was like sitting down with Kaye and looking through an old family photo album. There were not too many photos, but the pictures that you envisioned reading the stories were detailed and brought you into the moments. I think the book accomplishes what the family was going for, you see Cheryl, the real girl, not an overly perfect example, but just real. They family doesn’t paint her as perfect and they admit to her faults. You also can tell just how deeply they miss her and what an impact she made on their lives in her short time with them. Cheryl had a loving spirit, a true giver, willing to help others even if it meant her not coming out on top. Her devotion to her church and friends was apparent and she thrived helping others reach their goals. It is a beautiful remembrance to Cheryl and will allow her legacy to live on so future generations of her family will know all she had to offer and all she gave to those she knew.